Alan Bennett’s famous, award winning 2004 play The History Boys is on its way to Valencia’s Teatro Principal from the 28th to the 31st of January. Los Chicos de Historia is a Spanish production from the theater company Focus. The plot concerns a group of history students, studying for their examinations under three professors with extremely different styles. The students themselves are a varied bunch, and there is plenty of personal drama and sexual tension, intermingling with the schoolroom politics. 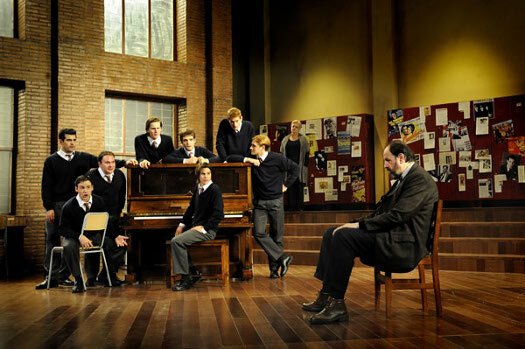 The History Boys was made into a well-received film in 2006. There will be 5 shows in Valencia, before the production moves on to Valladolid, Gandia and Alicante. Tickets start at just €12… you can find more information on the theater’s website.